Moxatherapie is een techniek waarbij een conus of staafje van het kruid Artemisia tot ontbranding wordt gebracht op de betref- fende punten om ziekten te voorkomen of te genezen. Zowel acupunctuur als moxa- therapie zijn in staat om het functioneren van de organen en meridianen te bevorde- ren, en om Yin en Yang, Qi en Bloed te reguleren. Beide therapieën hebben hun specifieke kenmerken, maar ze kunnen in combinatie worden toegepast. Deze behandelingen worden bij ons Chinese Medical Center gegeven door zeer ervaren arts-acupuncturisten. Zij zijn ook lid van de (NAAV) Nederlandse Artsen- Acupunctuur Vereniging, waardoor het mogelijk is een gedeelte vergoed te krijgen van uw ziektekostenverzekeraar. What are the principles of an Acupuncture treatment? Why can a disease be cured by stimulating certain points on the body with acupuncture or moxa-therapy? This is possible since the human body forms an organic unity where meridians and collaterals form a connection between the internal organs themselves and between these organs and the superficial body-tissues. This is why a disease in one organ can influence the whole body through meridians and points and manifest itself on the surface of the body. On the other hand a disease on the body’s surface can influence the whole body through the meridians and points. According to this principle, by stimulation of points on the body’s surface, information can be send via the meridians to the organs, with the result that Qi (energy) in the meridians gets stimulated, energy is spread, the pathogenic factors expelled and organs, tissues, Qi and Blood, Yin and Yang become regulated and brought into harmony, so the disease can be cured. Modern scientific research has shown that acupuncture is capable to regulate the functions of the diverse systems of the human body, like digestion, blood circulation, respiration, the urinary tract and specifically the nervous system and hormonal balance. A pathological condition (where the body is out of balance) is transformed into a normal physiological condition. More over acupuncture can induce to a certain level influence on the body-resistance and the immune system. Therefore acupuncture can also be used for prevention. Studies about anaesthetics through acupuncture confirm that acupuncture can induce the production of a high amount of anaesthetic substances in the body. This all shows that acupuncture can heal diseases, mainly by regulating the functions of the human body. 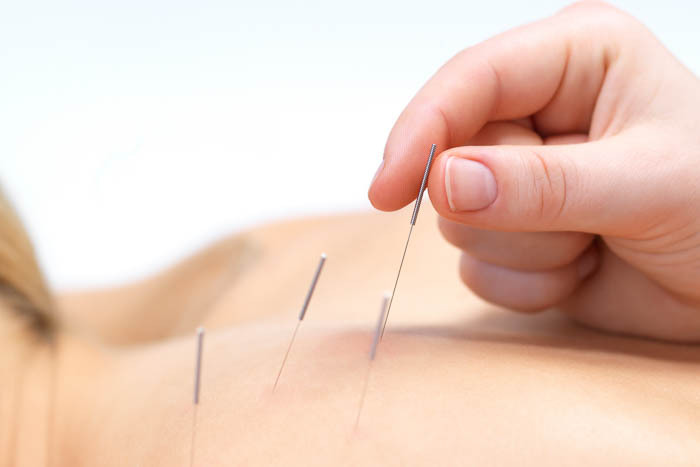 What are the preventative measures one should take before an acupuncture-treatment? Before undergoing an acupuncture-treatment firstly you should have a general idea whether acupuncture is indicated for your disease. Please read the list of indications. One should try to avoid tiredness, eating to full or being hungry before the treatment. At the same time one should not worry or be anxious about the treatment. During the treatment the patient should tell the doctor as accurate as possible about the sensations he feels from the treatment, such as a dull pain, numbness, tinkling, heavy feeling or pain and whether there is the feeling of a needle sensation, such as a sensation that moves to other parts of the body. When a needle is pricked into a certain point, the patient should stay in the same position, unless there is an accident, like bending, aching or breaking of the needle. During the time the patient is having needles in his body, he should tell the doctor whether he feels any discomfort, such as pain, dizziness or nausea. When the needles are removed the patient, after a few minutes of rest, can leave.